The bed was amazing!!! We we're centrally located, it was clean and had nice hot water. As back Packers we have been in every dump known to man. This was a really nice hotel for a really decent price. I would return without hesitation. 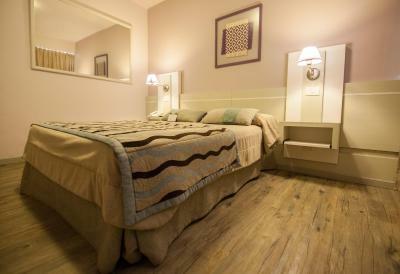 Location is great, beds are comfortable, the staff is very friendly. Shops nearby , restaurants and whitin walking distance from the river were nice restaurants and bars can be found. We were on floor 11 and had a great view from our balcony!! We were travelling as family and the size of our room was perfect for the 4 of us. Various choice at breakfast and nice breakfast room, though quality of food was rather low. Very good price - quality ratio!! Very spacious rooms. Comfortable beds. Right in the middle of town. Hotel Continental This rating is a reflection of how the property compares to the industry standard when it comes to price, facilities and services available. It's based on a self-evaluation by the property. Use this rating to help choose your stay! 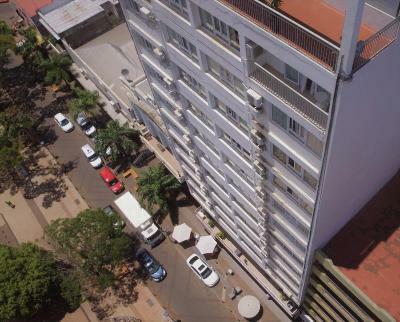 One of our top picks in Posadas.Located in front of 9 de Julio square and 350 feet from Posadas Plaza shopping center, Hotel Continental offers free Wi-Fi and breakfast in Posadas. A restaurant is featured on site. 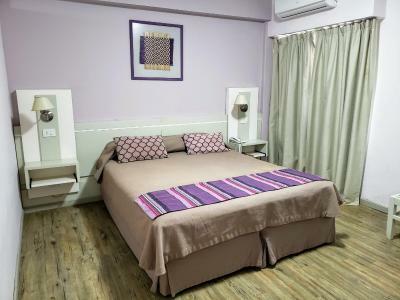 Providing a tranquil environment, the rooms in Hotel Continental feature private bathrooms, air conditioning, and flat-screen cable TVs. All rooms offers city views, some of the Cathedral and others of the bay. Buffet breakfast in offered and includes fruits, croissants, pies, and yogurt. La Cocina de Marina Restaurant serves regional dishes and offers room service. A computer with internet is available for guest use in the lobby. 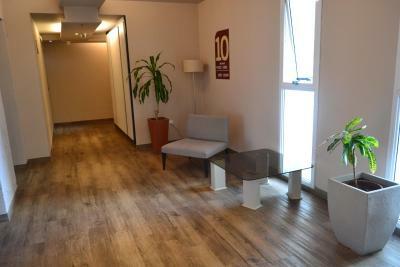 Free Wi-Fi access is available in public areas. 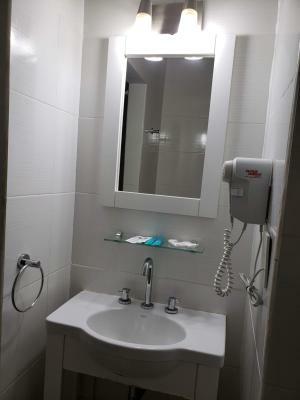 The 24-hour front desk can arrange laundry and provide tourism information to explore the area. 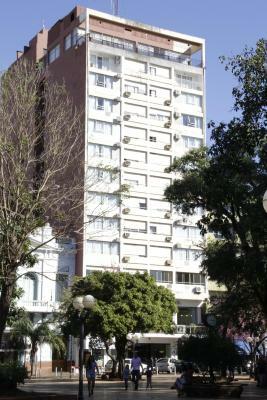 Hotel Continental is 9.3 mi from Libertador José S. Martin Airport. Private parking is possible on site for an extra fee. When would you like to stay at Hotel Continental? 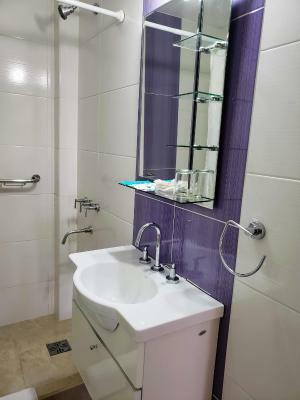 This room features a private bathroom, air conditioning, flat-screen cable TV and city views. The unit can be fitted with a double bed, a single one and a trundle bed, or 3 single beds and a trundle bed. House Rules Hotel Continental takes special requests – add in the next step! Hotel Continental accepts these cards and reserves the right to temporarily hold an amount prior to arrival. Please note that renovation works are being performed from 07:00 to 12:00 and from 14:00 to 18:00. The wi-fi wasn't working in the floor I was staying in, we had to go to reception to make use of the internet. That was a bit disappointing! Air conditioning doesn’t work in any room; it should be qualified as a Hostal and not a hotel. We arrived at Posadas from Puerto Iguazú at 9:30 pm after visiting las Minas de Wanda y las Ruinas de San Ignacio. As planned, we had dinner by the Costanera but the road had taken longer than expected due to construction and it was too late to drive back considering rain was in the forecast. At this point we decided to get a room and sleep a few hours before heading back to visit the Iguazú Falls. I took the advice of Booking.com travelers review and I really feel mislead and disappointed. The hotel had a good location but lots of call girls in the neighborhood. I was accompanied by a good friend whom I haven’t seen for 12+years and my 13 year old grandson for which this was a concern but the hotel administrator told me it was a family hotel therefore I proceeded with the check-in (it is now 12 midnight). After getting to our room we tried to get the a/c going but it was blowing on fan only and believe me... it was freaking humid and hot! The attendant came to check on it and after trying to guess how to operate the control on these wall units we were told it would take some time to kick in. To make a long night story short... we were changed to another “room” which looked like a military bunker with less than poor ventilation units before we were taken back to first room. A TOTAL DISASTER!! DO NOT RECOMMEND!! I told the administrator I was going to make sure to enter this comment. It is a disgrace to support a “hotel” to any tourist not familiar. Very old room, no amenities. A lot of small insects everywhere: in the room, in the bathroom, at the breakfast buffet. Hotel stuff knocked at the door in the evening, we said one moment please so we could get dressed. But she didn't wait and just opend the door. We didn't even know what she wanted, because we don't speak spanish well. She did this at every room on the floor. 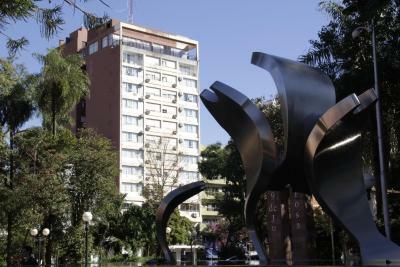 Directly in the centre of Posadas. There was a black stain on the floor but that was insignificant. I can't think of anything I did not like about it. No parking space was available. No wifi in our room, only in the reception area.